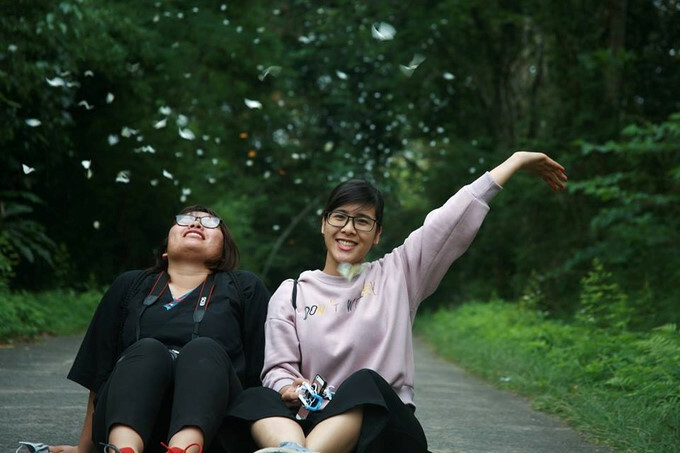 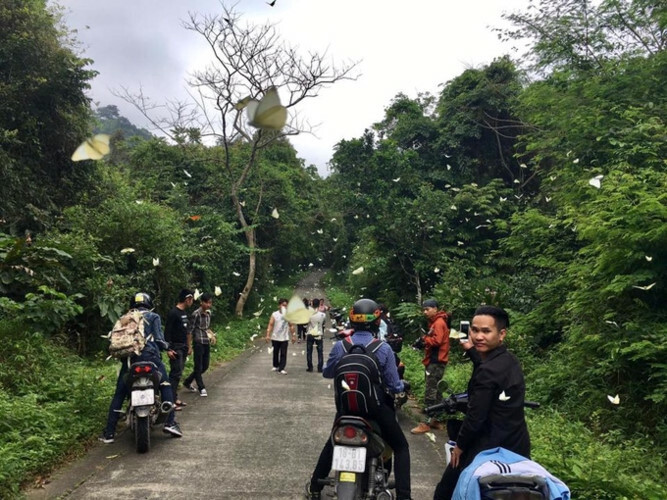 Around 120km from Hanoi, Cuc Phuong forest is situated in three provinces of Ninh Binh, Hoa Binh and Thanh Hoa. 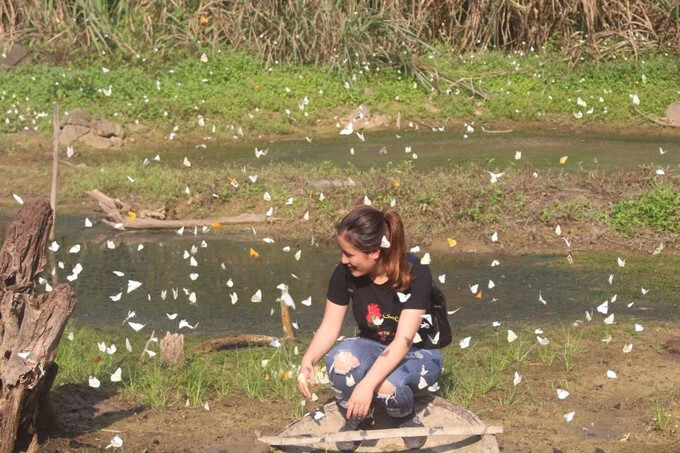 Cuc Phuong butterfly is numerous and highly diversified, ranging from contractual butterfly, swallowtail butterfly wings on green. 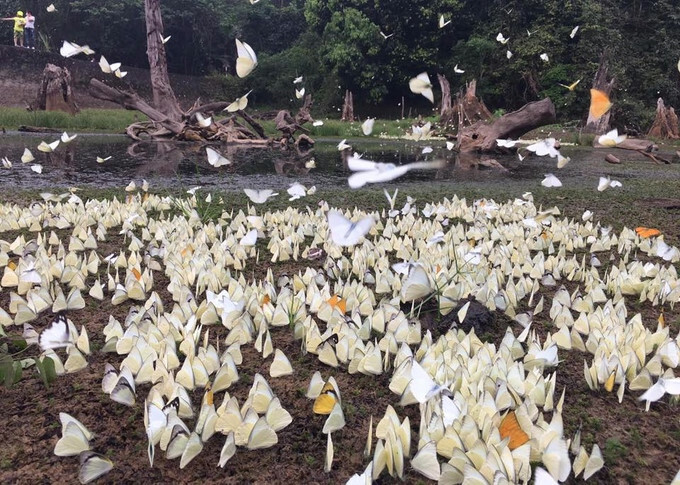 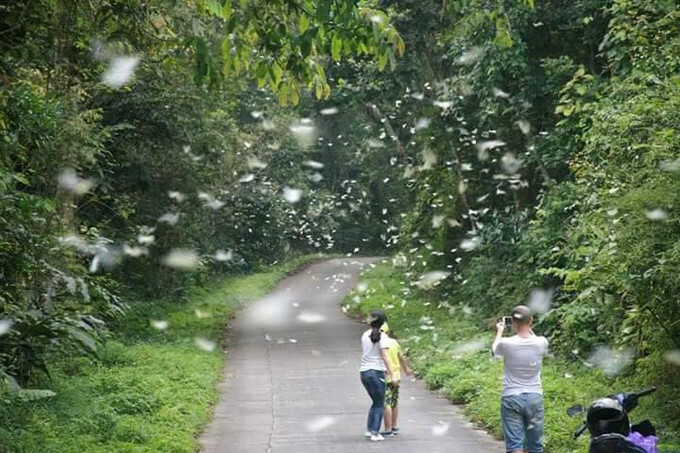 But the most popular is white and yellow butterflies. 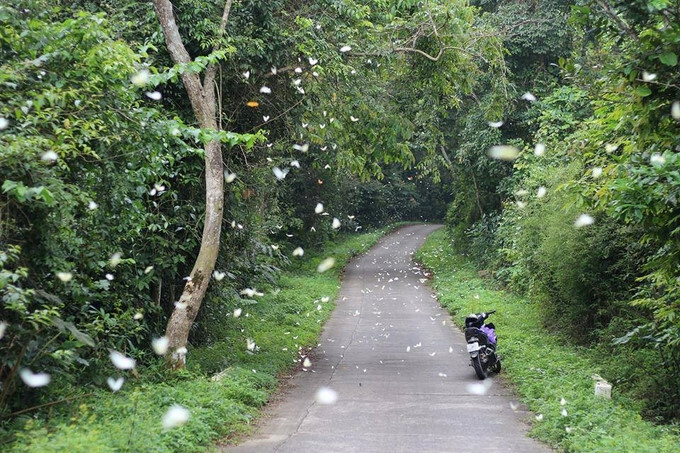 In the mid forest is a stunning spectacle: hundreds of butterflies have gathered inside the grounds.